'Sony Music' acquires audio rights for "Ezham arivu"
The makers of '7am Arivu' have planned to release the audio in May. Sony Music Entertainment has acquired the album rights for a big amount. Expectations are so high for the Surya, Murugadoss and Harris combo's second venture '7am Arivu', since they created a box-office magic with 'Ghajini'. This film produced by Udhayanidhi Stalin, features Shruthi Haasan making her debut in Tamil. One of the highlights of the audio launch that producer Udhayanidhi has planned on a huge scale is that Surya who plays a circus acrobat in the film, is expected to perform live on stage some of the stunts which he has performed in the screen. Remember, the actor had earlier said that he had trained rigorously with circus experts and performed the risky stunts in the film without a body double. 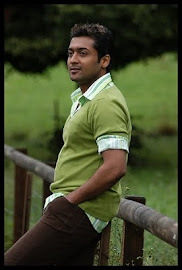 The film features Surya and Shruthi Haasan in the lead, will be released simultaneously in Tamil and Telugu. And it's touted to be a medical- thriller.